Childs Drinking Cup with Handles - Pack of 6. These 6 Childs Drinking Cups with Handles represent great value for money and are designed for use by children with a reduced grip strength or dexterity, providing them with an easy grip that makes it easy to control the action of drinking. These Childs Drinking Cups with Handles have lids with small spouts which hava a 4mm wide hole, making them ideal for either hot or cold drinks. These drinking cups also feature handles which are wide and flat and also have ridges on them to ensure that they are easy to hold. 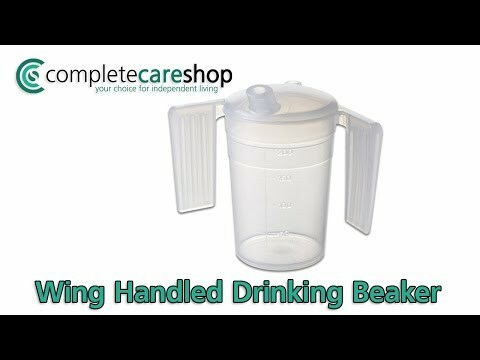 This feature also helps the child to grip each drinking cup securely and safely.